My Crazy Life And Stuff: Valentine kisses' huge giveaway! 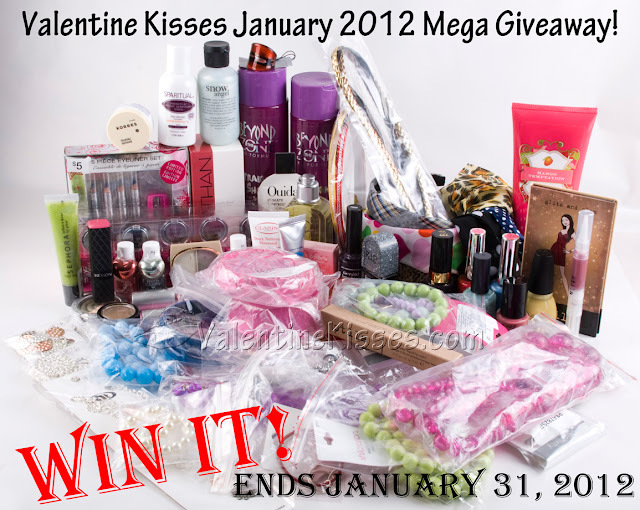 Valentine kisses is having another huge giveaway! check this out! and oh yeah, it's INTERNATIONAL! and it ends on January 31st,2012! Woooow! Amazing! Enter me please ;)is this all we need to do?